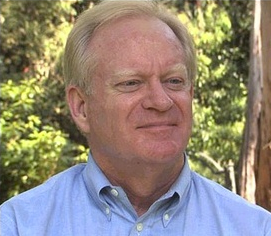 Ten years after the Arizona UFO incident known as the 'Phoenix Lights', former Arizona Republican Governor Fife Symington, III, now says that he himself was a witness to one of the strange unidentified flying objects. "I witnessed a massive delta-shaped craft silently navigate over Squaw Peak.."
Kucinich, she writes on page143-144 of the book, "had a close sighting over my home in Graham, Washington, when I lived there. Dennis found his encounter extremely moving. The smell of roses drew him out to my balcony where, when he looked up, he saw a gigantic triangular craft, silent, and observing him. It hovered, soundless, for ten minutes or so, and sped away with a speed he couldn't comprehend. He said he felt a connection in his heart and heard directions in his mind." 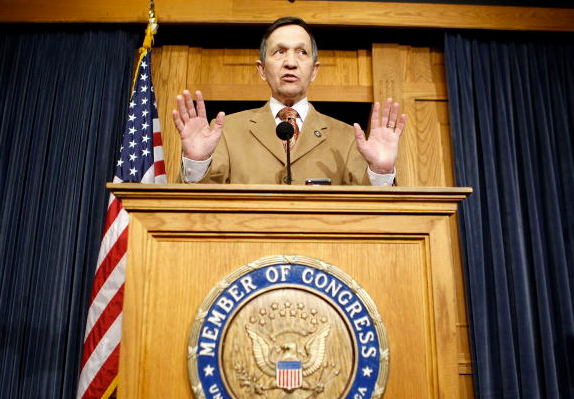 "Now, to answer your question," Kucinich said, "I'm moving my -- and I'm also going to move my campaign office to Roswell, New Mexico and another one, an extra, to New Hampshire, okay... And also, you have to keep in mind that more -- that Jimmy Carter saw a UFO, and also that more people in this country have seen UFOs than, I think, approve of George Bush's presidency." Reinhold Messner, famous mountain climber from Italy. 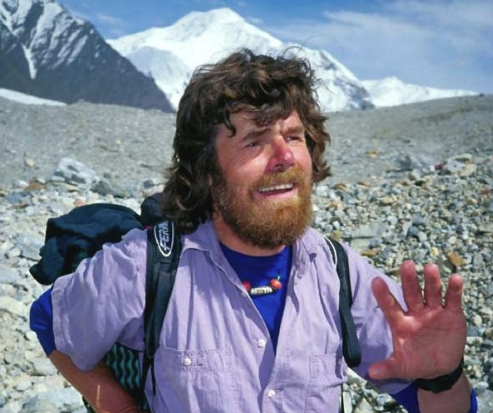 KATMANDU, Nepal — Italian Reinhold Messner, one of the world's foremost mountaineers, said Friday he watched a UFO "the size of a full moon" for nearly three hours while climbing in the Himalayas. On his return to Katmandu after an unsuccessful attempt on 24,248-foot Mount Chamlang, he said he spotted the UFO as it drifted south into Nepal from Tibet over the mighty snowcapped mountains. "It was moving very slowly," he said. "It moved eastward and then went again southwest and drifted finally north into Tibet." His climbing partner Doug Scott, a British schoolteacher, also sighted the object, he said, as did a nearby joint Polish-British expedition, but at a different time. "It could not be a satellite because they move in an eliptical manner." he said. "The movements of this object were irregular." 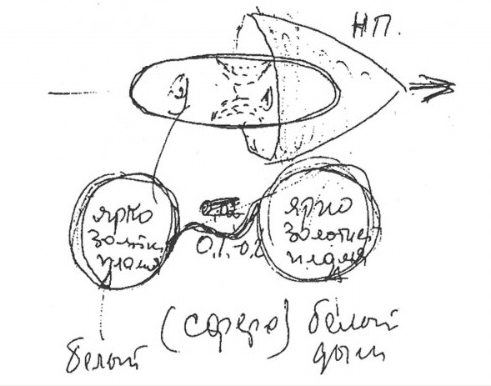 Below is his drawing of the UFO he saw. After this explosion I just saw white smoke, then a cloud-like sphere. Before we entered the darkness, we flew through the terminator, the twilight-zone between day and night. We flew eastwards, and when we entered the darkness of the Earth shadow, I could not see them any longer. The two spheres never returned. 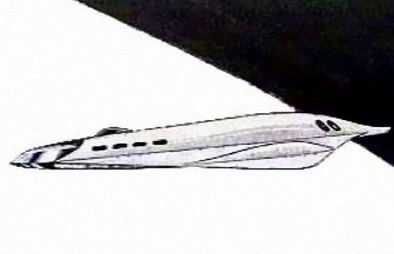 Below photo is the drawing Victor Afanasyev made of the UFO he saw. 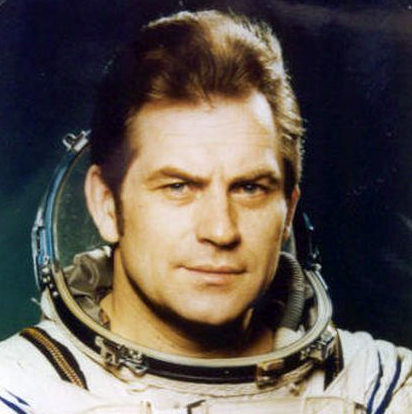 n April of 1979, Cosmonaut Victor Afanasyev lifted off from Star City to dock with the Soviet Solyut 6 space station. But while en route, something strange happened. Cosmonaut Afanasyev saw an unidentified object turn toward his craft and begin tailing it through space. "It followed us during half of our orbit. We observed it on the light side, and when we entered the shadow side, it disappeared completely. It was an engineering structure, made from some type of metal, approximately 40 meters long with inner hulls. The object was narrow here and wider here, and inside there were openings. Some places had projections like small wings. The object stayed very close to us. We photographed it, and our photos showed it to be 23 to 28 meters away." In addition to photographing the UFO, Afanasyev continually reported back to Mission Control about the craft's size, its shape and position. 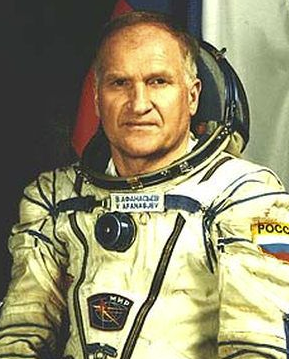 When the cosmonaut returned to earth he was debriefed and told never to reveal what he knew, and had his cameras and film confiscated. Those photos and his voice transmissions from space have never been released. It is only now, with the collapse of the Soviet Union that Afanasyev feels that he can safely tell his story. "It is still classified as a UFO because we have yet to identify the object." 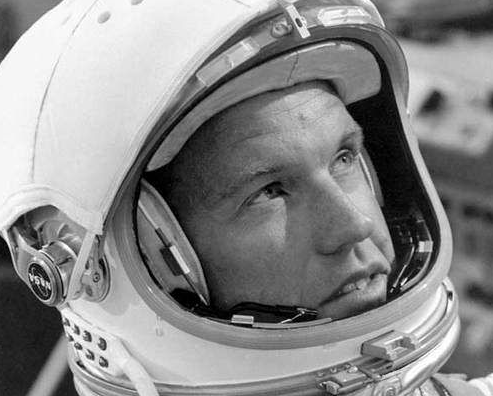 In June 1965, Major James McDivitt saw, filmed, and photographed an object, which approached the Gemini IV (3rd June – 7th June 1965) capsule in which they were orbiting the Earth, passing over Hawaii. The UFO had a long arm sticking out of it. "I was flying with Ed White. He was sleeping at the time so I don't have anybody to verify my story. We were drifting in space with the control engines shut down and all the instrumentation off (when) suddenly (an object) appeared in the window. It had a very definite shape - a cylindrical object - it was white - it had a long arm that stuck out on the side. I don't know whether it was a very small object up close or a very large object a long ways away. There was nothing to judge by. I really don't know how big it was. We had two cameras that were just floating in the spacecraft at the time, so I grabbed one and took a picture of (the object) and grabbed the other and took a picture. Then I turned on the rocket control systems because I was afraid we might hit it. At the time we were drifting - without checking I have no idea which way we were going - but as we drifted up a little farther the sun shone on the window of the spacecraft. The windshield was dirty - just like in an automobile, you can't see through it. So I had the rocket control engines going again and moved the spacecraft so that the window was in darkness again - the object was gone. I called down later and told them what had happened and they went back and checked their records of other space debris that was flying around but we were never able to identify what it could have been. 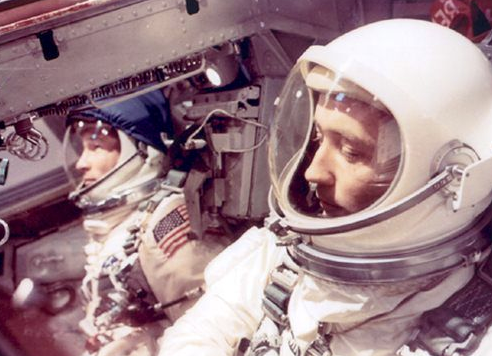 The film was sent back to NASA and reviewed by some NASA film technicians. One of them selected what he thought was what we talked about, at least before I had a chance to review it. It was not the picture - it was a picture of a sun reflection on the window." Buzz Aldrin: There was something out there that, uh, was close enough to be observed and what could it be? Narrator: Traveling along side of Apollo 11 was a mysterious object like this one (a ringed object at close range is shown), filmed on a later mission. If it wasn't part of their own rocket, it could only be one thing, a UFO. Aldrin: Mike (Collins) decided he thought he could see it in the telescope and he was able to do that and when it was in one position, that had a series of ellipses, but when you made it real sharp it was sort of L shaped. That didn't tell us very much. Dr. David Baker (Apollo 11 Senior Scientist): NASA knew very little about, um, the object reported by the Apollo 11 crew. It was obviously an unidentified flying object, but such objects were not uncommon and the history of even earth orbit space flights going back over the previous years indicated that several crews saw objects. Narrator: Despite having a clear view of the UFO, the crew were wary of reporting it to Mission Control. 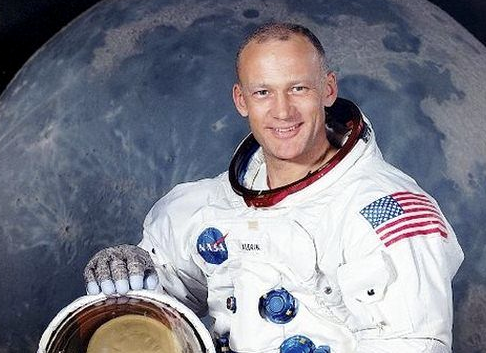 Aldrin: Now, obviously, the three of us were not going to blurt out, 'Hey Houston we got something moving along side of us and we don't know what it is, you know, can you tell us what it is?'. We weren't about to do that, cause we know that those transmissions would be heard by all sorts of people and who knows what somebody would have demanded that we turn back because of Aliens or whatever the reason is, so we didn't do that but we did decide we'd just cautiously ask Houston where, how far away was the S-IVB? Narrator: Unaware of the drama unfolding in space, Mission Control radioed the position back to Apollo 11. Aldrin: And a few moments later, why they came back and said something like it was 6,000 miles away because of the maneuver, so we really didn't think we were looking at something that far away, so we decided that after a while of watching it, it was time to go to sleep and not to talk about it anymore until we came back and (went through) debriefing. Narrator: To this day, whatever it was that the crew saw has never been positively identified or officially acknowledged. In 1957, Cooper was one of an elite band of test pilots at Edwards Air Force Base in California, in charge of several advanced projects, including the installation of a precision landing system. "I had a camera crew filming the installation when they spotted a saucer. They filmed it as it flew overhead, then hovered, extended three legs as landing gear, and slowly came down to land on a dry lake bed! "These guys were all pro cameramen, so the picture quality was very good. "The camera crew managed to get within 20 or 30 yards of it, filming all the time. It was a classic saucer, shiny silver and smooth, about 30 feet across. It was pretty clear it was an alien craft. "As they approached closer it took off." When his camera crew handed over the film, Cooper followed standard procedure and contacted Washington to report the UFO ­ and "all heck broke loose," he said. "After a while a high-ranking officer said when the film was developed I was to put it in a pouch and send it to Washington. 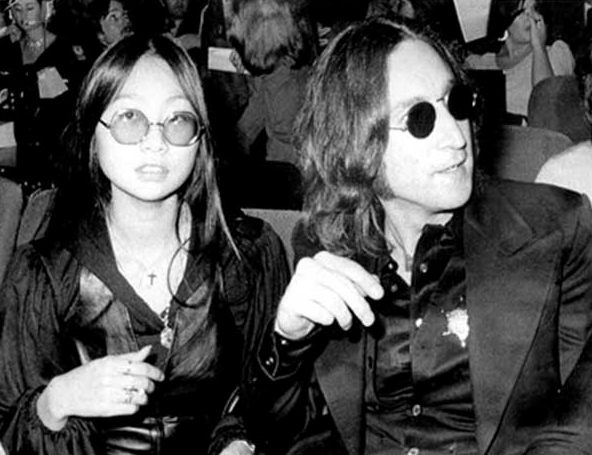 "He didn't say anything about me not looking at the film. That's what I did when it came back from the lab ­ and it was all there just like the camera crew reported." Cooper revealed he's convinced an alien craft crashed at Roswell, N. Mex., in 1947 and aliens were discovered in the wreckage. Why has the government kept its UFO secrets for so many years? "It started in World War 2, when the government didn't want people to know about UFO reports in case they panicked," said Cooper. "They would have been fearful it was superior enemy technology that we had no defense against. "Then it got worse in the Cold War for the same reason. "So they told one untruth, they had to tell another to cover that one, then another, then another . . . it just snowballed. "And right now I'm convinced a lot of very embarrassed government officials are sitting there in Washington trying to figure a way to bring the truth out. They know it's got to come out one day, and I'm sure it will. "America has a right to know!" 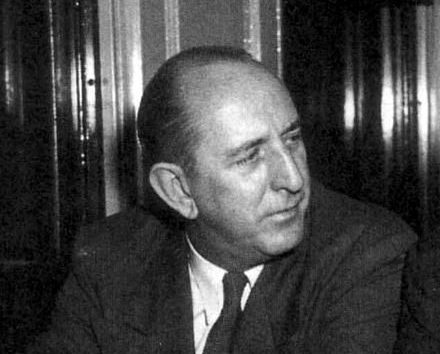 One of the most powerful U.S. senators in modern history actually eye-witnessed two UFO’s while on a fact-finding trip through Russia in 1955, and the U.S. government kept the sightings a secret for more than three decades. The incredible encounter is detailed in 12 TOP SECRET CIA, FBI, and Air Force reports, and declassified in 1985. Those startling reports reveal that Senator Richard B. Russell, Jr. (D-GA), then chairman of the Armed Services Committee, was on a Soviet train when he spotted a disc-shaped craft taking off near the tracks. He hurriedly called his military aide and interpreter to the window and they saw the UFO, plus another one that appeared a minute later. The astonished trio reported the sightings to the U.S. Air Force as soon as they were out of Russia. The Air Force Intelligence report says Russell and his two traveling companions spotted the UFOs on October 4, 1955, while traveling by rail across Russia’s Transcaucasus region. "One disc ascended almost vertically, at a relatively slow speed, with its outer surface revolving slowly to the right, to an altitude of about 6000 feet, where its speed then increased sharply as it headed north," the report states. "The second flying disc was seen performing the same actions about one minute later. The take-off area was about 1-2 miles south of the rail line." 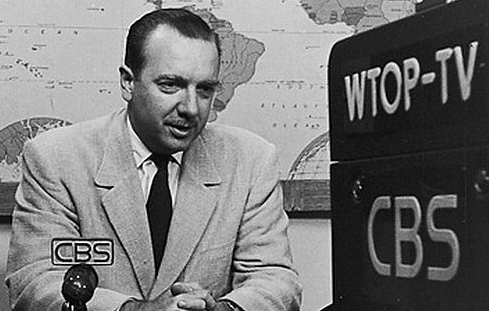 Walter Cronkite. CBS News anchor. In the 1950s Cronkite was part of a pool of News Reporters brought out to a small South Pacific island to watch the test of a new Air Force missile. After a short inspection of the new system by the reporters, they were lead to an area that was a safe distance from the launch site. The missile was mounted on a specially-built launcher that was attached to a cement base. It was obvious that the area had been quickly built just for the test. The details about the missile were going to be given to the reporters in he form of hand-out sheets and press releases after the test. 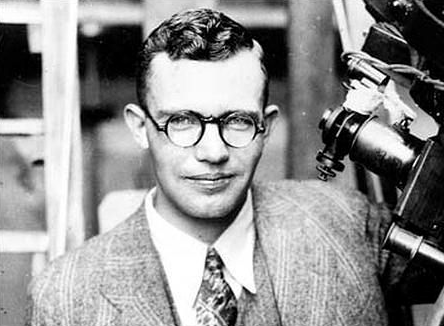 Tombaugh was probably the preeminent astronomer to have reported seeing Unidentified Flying Objects. On August 20, 1949, Tombaugh saw several UFOs near Las Cruces, New Mexico. He described them as six to eight rectangular lights, stating "I doubt that the phenomenon was any terrestrial reflection, because... nothing of the kind has ever appeared before or since... I was so unprepared for such a strange sight that I was really petrified with astonishment." A similar shocked response has been reported by many other who claim to have seen mysterious aerial objects. "I have seen three objects in the last seven years which defied any explanation of known phenomenon, such as Venus, atmospheric optic, meteors or planes. I am a professional, highly skilled, professional astronomer. In addition I have seen three green fireballs which were unusual in behavior from normal green fireballs...I think that several reputable scientists are being unscientific in refusing to entertain the possibility of extraterrestrial origin and nature." Edmund Halley, discoverer of Halley's Comet sees UFO. 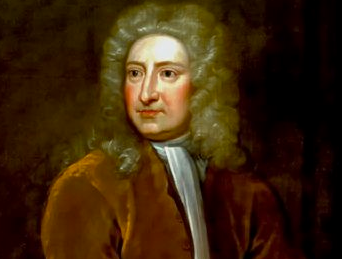 Edmund Halley, the astronomer who discovered Halley's comet, could recall two accounts involving unidentified crafts. 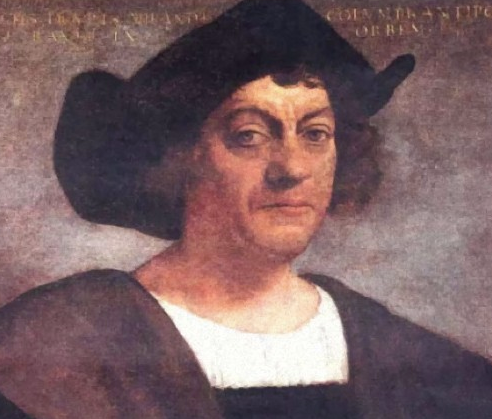 His first experience was in March of 1676, when he saw a, as he said, "Vast body apparently bigger than the moon." He estimated it at 40 mi. above him. He also stated that it made a noise, "Like the rattling of a great cart over stones." After estimating the distance it traveled in a matter of minutes, he came to the conclusion that it moved at a speed greater than 9,600 m.p.h. 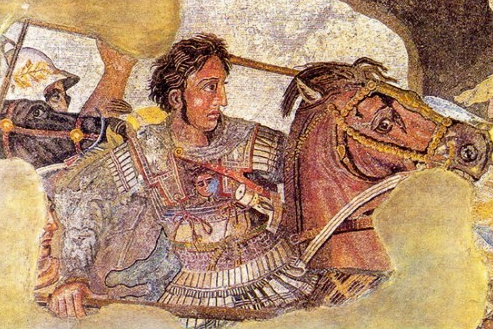 Alexander the Great records two great "flying shields." Alexander the Great records two great silver shields, spitting fire around the rims in the sky that dived repeatedly at his army as they were attempting a river crossing. The action so panicked his elephants, horses, and men they had to abandon the river crossing until the following day. spitting fire around the rims... things that came from the skies and returned to the skies."